Our arsenal of assessment tools helps clients sharpen their awareness of how they are perceived and creatively strategize their optimum work environment or lifestyle change. The result is clearer personal insights and more satisfying, realistic expectations. Most of us operate under perceptions formed early in our life or imposed on us by teachers, mentors, bosses, or family members. We often fail to update personal information of our talents, strengths, preferences, gifts or values. Using industry accepted, scientific, assessment instruments have been standard methodologies for many career counseling and coaching professionals for years. Couple assessment results with observable human behavior, test result trends, demonstrated proficiencies, and we could come up with likely valid conclusions. 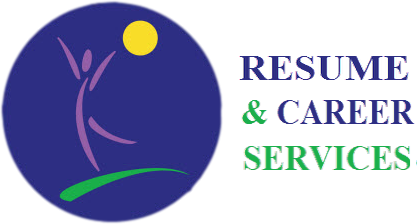 At Resume & Career Services we use an assortment of instruments appropriate to your objectives whether it is career focused, personal interest, or lifestyle focused. Assessments are not designed to measure one’s intelligence, judge one’s values or education, but rather to create an awareness to accurately communicate traits, preferences and behavior style. It is difficult to get to where you want to go if you have not confirmed that you have the requisite capabilities or passions for your target goals. The value of assessments is they help you gain confirmation, clarity and confidence. Again, these assessments are just indicators of consistent trends for strengths, natural talent and preferences. Armed with this information you can choose among viable options for your work industry, environment, lifestyle or hobby. Imagine being able to link your strengths to known missing proficiencies of a company where you are pursuing an interview. Do you think you would have an advantage over other candidates if you can succinctly communicate your vision of how you can contribute to transforming an organization to gain even higher performance output? Or perhaps the newfound knowledge will allow you to rationally explain why you are changing your lifestyle to pursue a long-deferred passion.